Marinated grilled chicken breast on a bed of mixed greens topped with tomatoes, cucumbers, red onions, feta cheese and Kalamata olives. 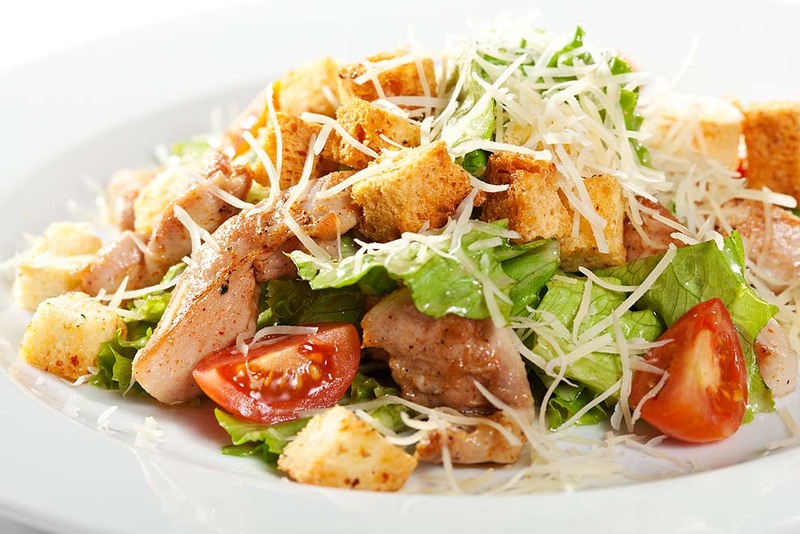 Grilled chicken breast marinated in our own Italian dressing on a bed of romaine lettuce, seasoned croutons and Romano cheese. Marinated chicken breast grilled with sweet peppers, bacon and onions, on a bed of mixed greens, tomatoes and cucumbers. Marinated chicken breast grilled with fresh green peppers and onions, on a bed of iceberg lettuce, tomatoes, cucumbers and black olives. Breaded chicken breast tossed in our own Buffalo sauce on a bed of mixed greens, topped with tomatoes, cucumbers and cheddar Jack cheese.